This matcha cake was really good. I liked that this dessert wasn’t too sweet, but there were plenty of different textures and flavors to make it interesting. Yum! 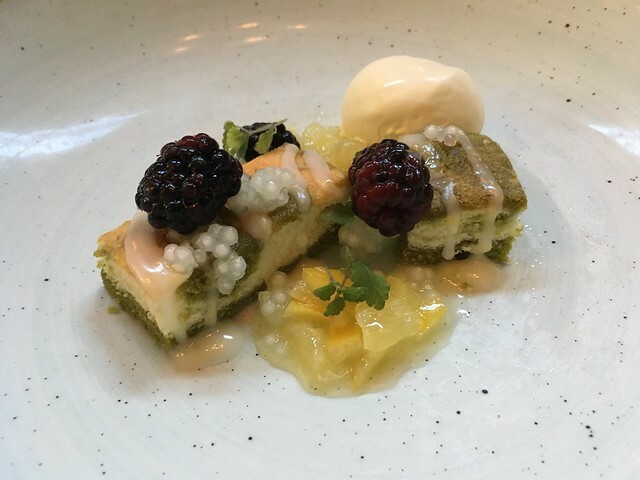 This entry was posted in Le Pigeon and tagged blackberry, cake, dessert, food, matcha, pineapple, tapioca by vicentesf. Bookmark the permalink.